The Most Influential Gujarati Books in History, Best Historical Mystery Books in Gujarati. 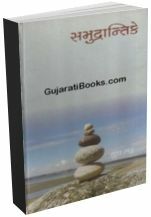 Fiction & Non Fiction Historical Gujarati books, Recommended Historical Books in Gujarati Language. ભારતનો ઈતિહાસ અને સ્વાતંત્ર્ય સંગ્રામ ને લગતા ગુજરાતી પુસ્તકોની માહિતી. વિશ્વ ઈતિહાસ ને લગતા પુસ્તકો. Good plot.near to real life story.deep knowledge with interesting topic.